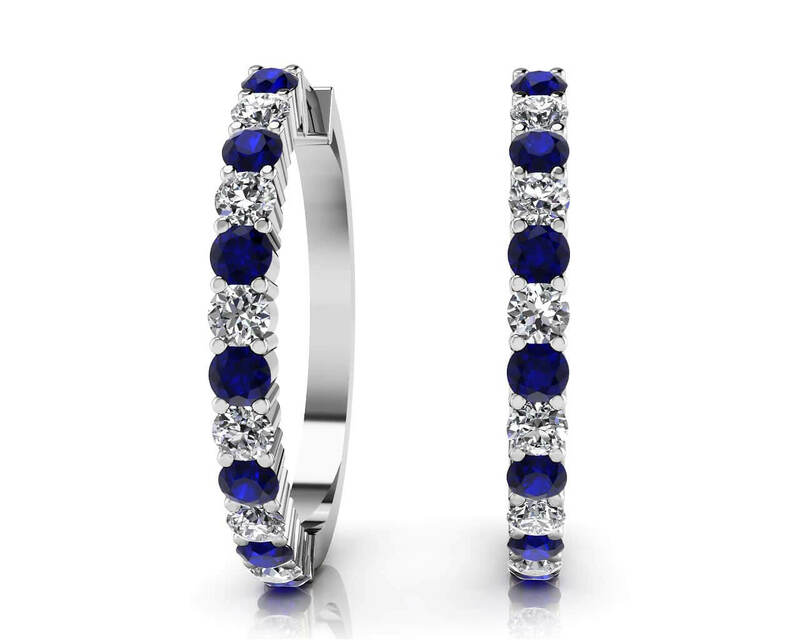 A lovely pair of hoop earrings is a staple jewelry piece and these are a wonderful choice! You can customize with your favorite gemstones for an individual and vibrant look! 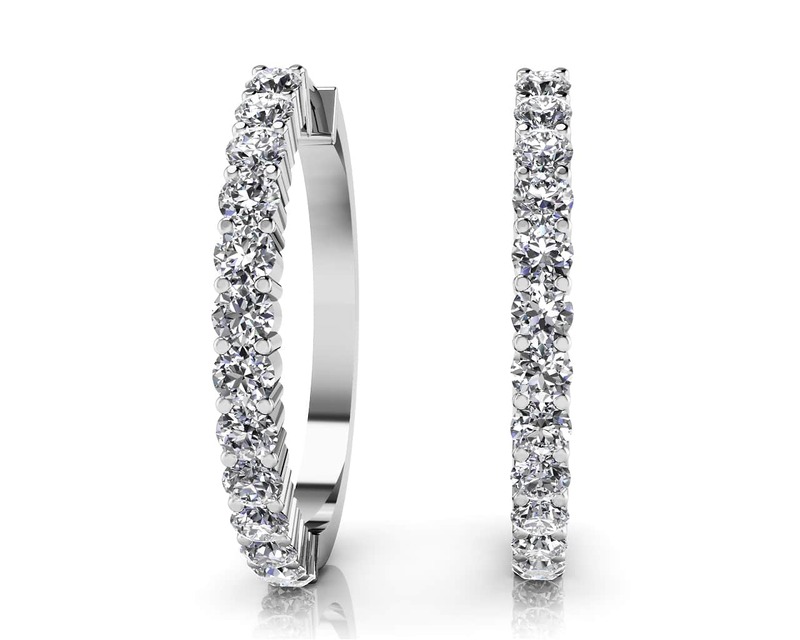 These hoop earrings are available in 4 different sizes, ranging from half a carat to 1.5 total carat weights. These will take you from a daytime look to a dressier event. Choose either gold or platinum, put these on, and have the confidence that you're always perfectly accessorized! All gemstones are AA quality. Stone Carat Weight: 13X0.019 ct., 13X.019 ct.